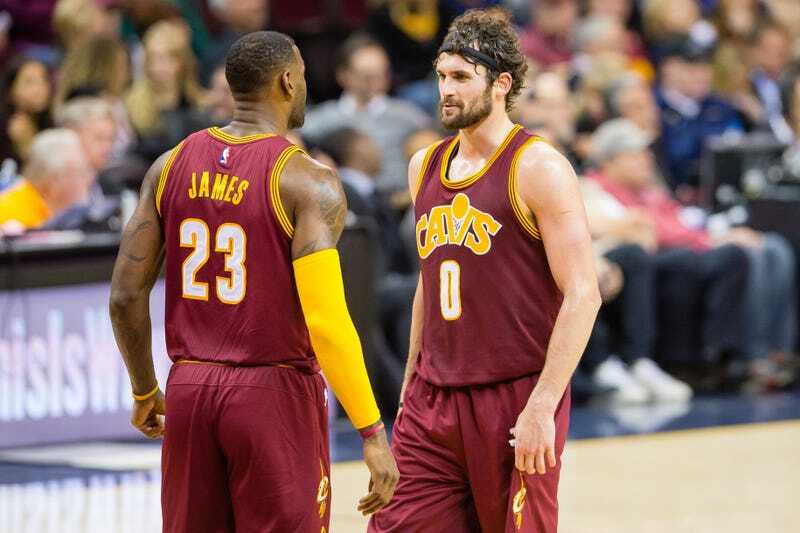 Remember those subtweets, stilted interviews, and posed Instagram pictures that had a lot of people wondering if there was a rift between LeBron James and Kevin Love last year? Well, according to the Akron Beacon Journal, there was indeed some fire behind all that smoke. Their rapport seems to have improved this year, though. James publicly called Love the focal point of the Cavs offense at the start of the season, and Love is averaging a healthy 17 points and 11 rebounds per game. So everything’s cool now, you guys. Sound the alarm! The beef is back on!